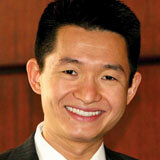 Christopher Chung is CEO of the Missouri Partnership. States have fewer dollars to spend on transportation these days, but that does not mean that highways and roads are destined to fall into disrepair. How can transport departments ensure the smooth, safe travel of goods and people in cash-strapped times? The Show-Me State’s answer: Change the way business is done. Missouri, on track to reduce transport costs by more than $200 million in the next five years, shows that wise investment of limited resources can result in efficient transportation that does not compromise safety or customer satisfaction. Despite a leaner budget, the Missouri Department of Transportation (MoDOT) has ramped up its commitment to transportation. Missouri holds the fourth-best ranking in the nation for rail and highway accessibility, and MoDOT recently received several awards for its efforts.